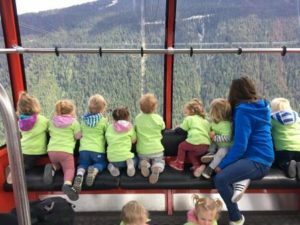 The Whistler Children’s Centre is hiring for a variety of positions, both part time and full time. Please see below for details and get in touch today! Early Childhood Educator: This is a full time (34-36 hours, 4 days/week) position that would find you working in a rotating basis throughout the centre’s 4 programs. We are looking for someone who has the ability to multi task, is a team player, and has a genuine love for working with children. The successful candidate must possess an ECE or ECEA License issued by the British Columbia Ministry of Children and Families or be in the process of studying. Teachers On Call- The WCC is seeking employees for substitute teacher positions covering regular teachers absences. Applicants must hold an ECE Assistant Certificate, ECE Certificate, or Responsible Adult training. Children – Provide an enriched environment that focuses on learning through play. Foster language development for both verbal and non-verbal children. Ensure that all guidance of children encourages positive self-concept, follows policy, and assists in teaching age appropriate problem solving skills. Assist with proper eating, dressing and toilet habits. Prepare snacks and arrange rooms or furniture for lunch and rest periods. Administration – Plan, implement and evaluate developmentally appropriate activities and experiences for children, engaging in meaningful relationships with children. Regularly attend room meetings and general staff meetings. Working with Families – Builds strong relationships with families based on respect, empathy and clear communication. Health and Safety – Ensures that all current WCC policies relating to health and safety and nutrition are followed. We are looking for educators who are fun, creative and caring. If you have experience working with children and are interested in joining our team please email your cover letter and resume to admin@whistlerchildren.com. We welcome out of country applicants for all positions, however you will need to take the steps necessary to become qualified in BC and we are happy to help you through this process. Please review the ECE BC Registry information for expediting the application process. The Welcome BC website also explains the process of registration if you are from out of country. Our wages are designed to reflect Early Childhood Education qualifications. Starting wages are dependent on applicant’s Early Childhood Educator qualifications, years of experience and position within the centre. 100% Paid BC Medical Services Plan Coverage for single or family. 100% Paid Extended Health & Dental for single or family. Paid days off to attend to physical and mental well being. Wellness Benefit ranging from $1000 to $1,600 per year. 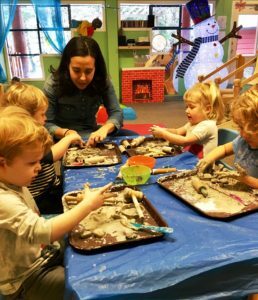 Employees with children attending the Centre receive waitlist priority and a child care discount. Day off with pay on your birthday, Christmas Eve and Boxing Day. Professional development & educational subsidy allowance.